– California Supreme Court ruling in overturning a criminal conviction based entirely on fraudulent use of statistics. Question 1. Can you safely drive a car without understanding any mathematics of vehicle dynamics ? A: Of course. Every day Hundreds of millions of people drive cars in full control and safety — without understanding any math. Obviously they learned vehicle dynamics physics using a “language” other than math. Imagine if your government refused to let you drive — until you could pass tests about the specific mathematics of vehicle dynamics : mass, motion, moments of inertia, centrifugal and centripetal forces, Hooke’s law, geometry, friction, nonlinear differential equations, understeer and oversteer. While a lot of mathematicians might be pleased . . . the general public would be outraged. Question 2. Can you repeatably mix an alcoholic drink without understanding the mathematics of fluid flow, boundary layers, Navier–Stokes equations, turbulent flow and mixing ? A: Of course. Millions of people easily mix drinks without understanding any math. Question 3. Can you repeatably bake a loaf of bread without any understanding of the mathematics of thermodynamics, Joule–Thomson effect and gas expansion ? A: Of course. Anyone can mix and bake a loaf of bread without understanding any of the higher maths that could be used to describe some of the dynamics involved. You get the idea. It’s simply silly to assert that anyone needs to understand any math to understand principles of motion, dynamics, fluid flow, thermodynamics or cause and effect. The same holds true for Cosmology. As a Cosmology expert who’s written one of the largest glossaries on the subject and taught the principles to many non-scientists, it is my opinion that most people can understand most, if not all, of Physical Cosmology’s principles of motion, dynamics, fluid flow, thermodynamics and so on — without understanding any math. But too many math advocates in charge of setting University physics curriculum currently refuse to let you study physical cosmology principles unless you have an enormous higher math background ! As an example — please take a moment to examine this seemingly reasonable list of pre-requisites to start studying Physics (that’s before adding math fields specific to astrophysics and cosmology) prepared by Nobel Laureate Gerard ‘t Hooft. His excellent starting point list includes nineteen major categories (19 categories) of subjects and dozens of subtopics. Every one of them is a fascinating facet in understanding our fabulous fields of physics. Innumeracy — pages of equations overwhelm most students. The problem is every one of Gerard ‘t Hooft’s subjects and links are drenched in mathematics with very few photographs, diagrams, or graphs or even just charts; just page after page after page of equations. Some people thrive on equations and even learn fastest using them. However, most people do not. This avalanche of math overwhelms, intimidates and discourages huge numbers of people who were otherwise fascinated by astrophysics or cosmology. Thankfully, there are occasional minor counterexamples like this undergraduate Cosmology course at Northwestern in Illinois. But as mentioned, that is an undergraduate course that only skims the surface of cosmology. Sadly, this gratuitous math barrier prevents millions of students from enjoying physics, astrophysics and cosmology. This makes the math requirement a de facto example of a Priesthood (even if unintentional or unconsciously). When this is done deliberately it is called Obscurantism. That is where subject knowledge is a fiercely guarded secret revealed only to those who jump past barriers that are wholly unnecessary and often highly complex or expensive in time or personal sacrifice. This is not unlike the outrageously harmful and sometimes deadly college Hazing required to obtain fraternity admission; or how the legal industry uses Latin terms to obscure legal ideas from us ordinary mortals. Oddly, its often the non-math fluent administrators who enforce such math barriers. The best Physics professors typically take great pains to increase the approachability of physics to maintain the student’s enthusiasm. 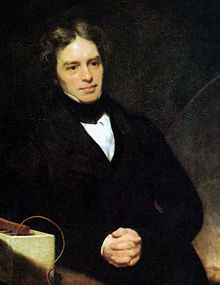 Faraday established the basis for the concept of the electromagnetic field in physics, inspired Maxwell’s equations and essentially invented electric motors. He also discovered the principles of electromagnetic induction, diamagnetism (the levitating frog trick), and the laws of electrolysis. A quick web search amazingly turns up a bunch of logical fallacies arguing that you are forbidden from discussing or understanding cosmology until you have expertise in half a dozen higher maths. But in perusing the arguments, I have yet to find even one valid (fallacy-free) argument supporting that view. Here’s a concise analysis of a few of them. Truth: Physics is not a subset of mathematics, nor vice versa. Physics is about understanding physical reality using experiments and observations. Math is merely a language, one of many languages to help understand natural phenomena. Math helps some people understand the physical laws of nature. However, in no sense is math an experimental science. Many would argue that Math is not a science at all. “To those who do not know mathematics it is difficult to get across a real feeling as to the beauty, the deepest beauty, of nature … If you want to learn about nature, to appreciate nature, it is necessary to understand the language that she speaks in“. Truth: This is a two part strongly misleading claim. There is a gigantic gulf between using advanced math (e.g. Calculus or Algebra) and using quantitative descriptions.They are two separate things with nearly zero overlap. Of course, using quantitative descriptions is highly helpful in assisting understanding physics and cosmology. But measuring things does not inherently require using math beyond arithmetic. Just like driving a car — one should understand that (not how) vehicle speed is quantified by speedometer and understand how to compare that measurement to speed limit signs. You could get me to agree that this example uses Arithmetic, but comparing one quantity to another quantity is not really using math. In any case using quantitative descriptions is certainly not higher math. Truth: One can understand physics phenomena, even extremely complex multi-variate, non-linear phenomena at a world class level without using any mathematical description. While traveling at 140 to 180 mph (225-290 kph) and more, while turning so sharply their body is subjected to 2 to 3 sideways Gs (2 to 3 times their normal weight pressed against their “seat’s” side) they can place a car to within an inch or so of the same spot on a sharply curved road lap after lap after lap. These drivers unarguably “really understand” vehicle dynamics – while few have any more than the faintest whiff of mathematical understanding of it. They absolutely fulfill Prof Feynman’s poetic appeal they they have “a real feeling as to the beauty, the deepest beauty, of nature” for automobile dynamics. If you push me, I could easily show persuasively these drivers understand the physics far better than mathematicians. This is in no small part because math comes to a grinding halt with non-linear six degrees of freedom dynamics – which you and I employ to drive a car every day. And if you persist I’ll insist we discuss Gödel’s incompleteness theorems – which prove that for all but the most trivial circumstances maths cannot be relied upon to be self-consistent. That would clearly include the General Relativity Field equations which Big Bang is based upon . . .
To resume, my experience has shown me that for Cosmology enthusiasts it is wholly unnecessary to have any advanced math expertise to understand Cosmology principles. 1. Here’s an illuminating Youtube video with Physics Noble Laureate Richard Feynman explaining the difference between math and physics. This entry was posted in Basic Science, Dynamics, Math, Philosophy and tagged incompleteness theorem, Innumeracy, language, Mathematics, Michael Faraday, Priesthood, Prof Feynman, vehicle dynamics. Bookmark the permalink. 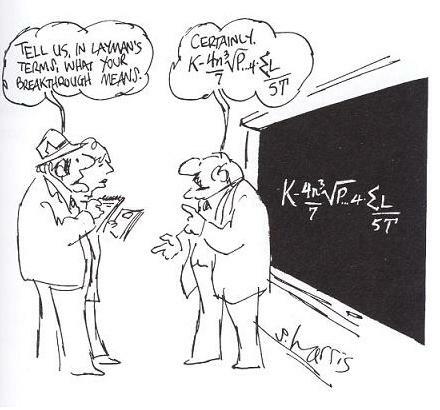 8 Responses to Do you need any Math Expertise to understand Cosmology Physics Principles ? Nice exposition of the ideological censorship by math wizards. I suspect that while most ordinary people will embrace this, mathematicians won’t understand it because they typically (not always) don’t have expertise in any other languages to understand physics. Thanks for your thoughts Mark. By the derivation of mathematics a topic of science become more easy understand and it will be utilize more accurately with it’s relative topic. You do not need math to understand Cosmology Principles. Faraday is the prime example. Math is a language and there are many math languages, similar to French and German and English. Math has its advantages in describing relationships such as size and ratios and derivatives. Primarily, math helps in long chains of logic. Math is very helpful if the investigation is a subset of a already known structure, such as the changing of an object like a Icosahedron. Math is helpful in finding the limit or boundary condition or even whether there is a boundary. Math is not the only way to do this. Now I personally believe the cosmos has a mathematical structure and operates mathematically. If this is true, then I can predict many answers from the structure. For example, building on Newton’s Law of gravity W= -mGM/r and Hubble’s Constant H=c/R, the Cosmos is describable and predictable as a Quaternion Space. The Cosmos is closed, finite and bounded. Relativity Spacetime might have a different description. Newton’s description did not describe some of today’s features,open/closed,mass,etc. Galileo and Newton believed in mathematics as the language of the universe or the Universe operates mathematically, but you can describe it in any language. In the future, the language may be bits. Being good at math is what Faraday was . he was damn good at getting by in algebra damn damn creative. Thank you for your thoughts Jes. I believe Maxwell was suggesting something similar to my article – that there is more to understanding physics dynamics than the math. I agree. Mathematical equations can always be tricked up with extra parameters to prove just about anything. They should only be used to predict new discoveries or explain existing phenomena – without having to add extra variables just to make the equations agree with the presumed truth. This is what they’ve done with almost all the equations that supposedly explain curved space, expansion of the cosmos, and dark matter. One famous professor explains that it’s not “doppler” recession, but it’s the coordinates that are growing faster and faster, not the matter which stays in the same place! This is so absurd it’s almost not funny. Coordinates, just like equations don’t make anything happen. Rather, they describe what actually does happen. Nicely articulated JB. Thank you.